The new AutoInc Shop Software Guide is arriving in mailboxes around the country, and many service managers will turn to it for information about the latest technology offerings in their business. Only 4 systems elected to buy into the list, so now you have to do some work to see if some of the others may offer a better fit for your business. We’d like to help a bit by telling you how Auto Shop Writer would check off the various capabilities, in summary form, and then tell you what else we offer that is not mentioned. That whole first section refers to the computer operating systems, and Auto Shop Writer was designed for Windows, and runs on any of the operating systems. It also will run on the Apple Mac computers using Parallels. The program is NOT Cloud based for a very specific reason. If your internet is down, slow, or intermittent, you cannot manage your business. Far too many shops have pretty poor internet service, so we keep all of your data local on your computers. Yes, we do operate on desktops, notebooks, 2 in 1’s, tablets, and you can even run remotely ( like from home ). We even have clients who work from multiple locations. We’ve been doing this a long time – over 35 years actually – and we don’t need to cost you a small fortune. We now provide Auto Shop Writer for a very low monthly fee, just $195. That includes use of the FULL program ( including accounting ), tech support, and ALL updates. There is a small, one time, installation fee, and you might elect to buy Client Server software for a larger installation, but there are no extra costs or charges by us. Of course we do provide interfaces to many popular 3rd party products, and you may elect to contract with them for CRM or other services, but we don’t charge you extra for the interface. Why so low a price ? Because we can, and we know you, and your employees, will benefit from the significant savings. Is this a junior model ? Absolutely not. It is 100% of the full feature offering. Is there a long term committment ? Nope – just monthly – billed to your credit card. If you stop using it at any time, the charges stop. No hassle, no hidden fees, no contracts, just service by a company that knows how to run a business efficiently. Lets make this easy … just check off all those features because Auto Shop Writer does them. Yes, we can show you how. First, lets consider that whole topic of CRM. There is a big focus on someone else doing the job for you, and that is fine if you want to spend the money. We interface with the best, and likely some you haven’t heard of that do an awesome job. However, maybe your budget would be better without paying hundreds for CRM services. In Auto Shop Writer we provide all of that internally, and although you have manual control, we also have automated email. It sends a thank you, follow up notes monthly, reminders of services that will be due and even appointment reminders. The one time setup is easy, and thereafter, this fully integrated system keeps you in touch with your clients for free, and without wasting your time. You also have a full set of Marketing services and reports that help you understand you client base, their location, your earnings from them, and even maps of their locations. You can use this to improve sales through targeted marketing by email, mail, phone, letters, or postcards. None of these services have a fee. We also interface with myCarfax, and one button sets up your client with their own tracking and notification system – free to them, free to you – and it brings them back to your shop. Communication is important, and you can call, email, or even text your clients. If they want a copy of an invoice from 3 years ago a couple of keystrokes can have it on the way to them via email, and a response like that builds customer loyalty. When the customer walks into your shop, one button can tell you all about their record with you, their vehicle, it’s service history, the services needed, and even when other services should be performed … all on one easy to read screen that can remain up while you add details to the service order. It’s nice to know about those vehicles. You not only have a complete detail about them, but also their complete service history at your shop, and through the free CARFAX services, what work was performed elsewhere. Consider the possibilities this knowledge provides in actually working with your clients, especially on their first visit. Auto Shop Writer will also allow you to track individual services, and project when they need to be performed in the future. There is no limit, and one button will add an included labor item for automatic tracking from then on. Reports and follow-ups allow you to keep your client informed when these services are needed, and emails will be automatically generated to do this work … at no cost to you. Of course you’ve seen those nice checklists provided to the client’s after the service that indicate the inspection you’ve performed. That’s part of Auto Shop Writer and when they return, those values are automatically included in the Analysis of the Vehicle needs ( think 1 button gives you all of this ). How about some organization. 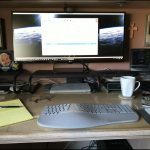 Step up to the computer at the beginning of your day, and a single button provides you a TO DO list of work you should perform. It’s not just the vehicles sitting there waiting for service. It includes scheduled appointments, and suggested contacts you should make about vehicles that will need service in the near future … all on one screen with one keystroke, with no setup or extra input required. It’s all derived from the information already in the system based on work you have performed. Auto Shop Writer is the result of input from shop owners, like yourself, who use it daily and have great ideas for how it can be improved or expanded. Updates come out regularly, and automatically. Customer Service is personal. Are you interested ? 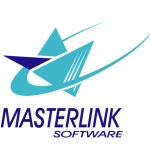 Send an email to Support@MasterLinkSoftware.com or call 949 589-3186. We’ll answer your questions, discuss what we provide, and NO SALESPERSON WILL BE CALLING ON YOU. We know you are busy, and we have no intention of being a nuisance or giving you a sales pitch filled with promises. We’ll tell you what we offer, if you like it, we’ll get you setup, and you can use Auto Shop Writer as long as it works for you ( and saves you a lot of money ) for just $195 / month.